Any chess-player who wants to become part of the South African team has to work extremely hard consistently over a long period of time. Only those who are willing to stick it out until the end can reach the highest goals. That is why chess players are so perseverant even in other areas of life. The first step of the process is to get entry into you regional team. For that you have to have a good enough performance in at least five regional tournaments where you have to spend a day playing chess and doing your very best. Only the top 11 players make it into the A-team. If you make it into the B-team, it depends if there are enough players in your age group who are able to qualify if you will then have a chance to play at the SA-team event. During this event (held once a year), there is also an individual part where many players from over SA will try out at a chance to play at the SA-closed. If you make it in the top 10 of the individuals, you can play at the SA-closed. These players then compete against each other and up to 20 others to gain entry into the team that will represent South Africa at the World Championships, the Commonwealth and other World tournaments. Again only the top 10 and a reserve or two will qualify. For Henley 2014 was certainly very fruitful. Twelve players qualified for the Sedibeng team and three of those players decided to enter the individuals at the SA’s. All three made it into the closed!!! Even more amazing all three players made it into the SA top twenty, only missing a spot in the SA-team by a few spaces. These players are David Smith, Vangile Nhlapo and Prithee Emanuel who left Henley at the end of last year. With Henley School ending second in the Leagues last year (by one point), 2015 definitely promises to be very exciting. All interested Juniors and Seniors are invited to contact Mrs. Villoen, Tel: 016 366 0678. 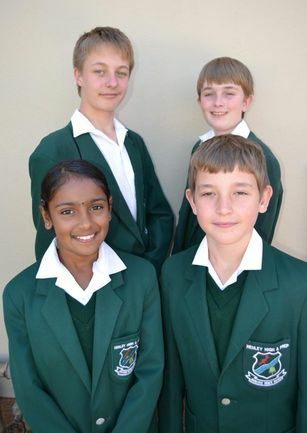 During December 2012, the SA-junior Chess Championships were held in Cape Town. The best junior chess players from across the country represented their regions in a nail-biting play off that lasted 4 days. Thereafter, a wild card event was held where individual players could try-out for the South African team to play overseas. Four players from Henley-High and Preparatory School, JP Dreyer, David Smith, Joshua Meybergh and Prithee Emanual, represented Sedibeng. They did our school proud as they battled it out amongst the country’s best. Prithee won a board prize at board 10, since she won 5 out of 7 matches. David also won a board prize at board 1, since he also won 5 out of 7 matches. David went on to participate in the wild card event and there he ended up 12th, which is exceptional looking at the amount of children playing at the SA's. 2012 was an exceptionally good year for chess at Henley. Chess is growing at Henley and in Sedibeng as parents become increasingly more aware of the benefits of this sport. In 2013 a professional chess coach is coming to help with coaching at the school. The time is now to make use of this opportunity and give your child a chance to develop reasoning skills that could help him/her in every subject. More information will be available in the schools’ newsletter. 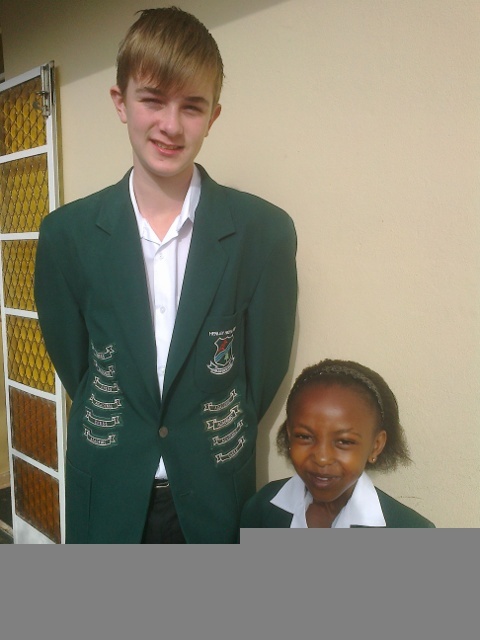 Who knows, at the end of 2013 it might be your child in our school paper proudly wearing Sedibeng colours!